Students walking up to the second and third floors of 301 High St. will notice new decorations this month. Balloons and small paper circles line the walls, with streamers wrapped carefully over the banister railing. 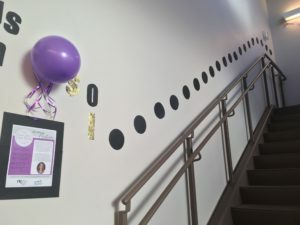 The decorations are there to raise awareness of one former student’s fight with cystic fibrosis and an organization’s determination to help make a small difference in that fight. 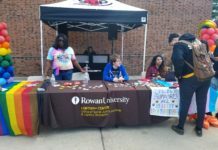 Melissa Livingstone is a senior public relations major at Rowan University and the chair of the Dance Away Cystic Fibrosis event, which is being put on by the Anthony J. Fulginiti chapter of the Public Relations Student Society of America (AJF-PRSSA). Explaining the reasoning behind the decoration, Livingstone said it was there to help with fundraising visibility. “We’re tracking how much money that we raise throughout the month with the dots in the hallway,” Livingstone said. 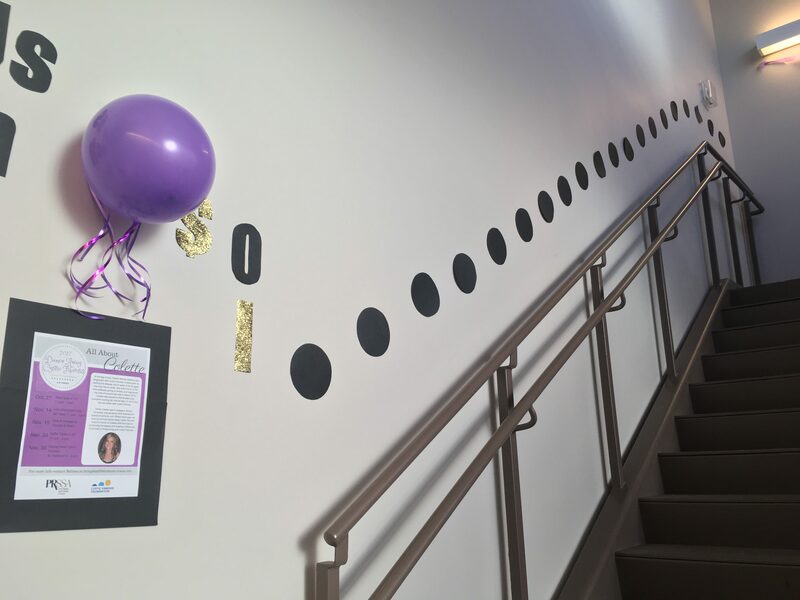 She explained the amount of money raised would be written out on the dots, serving as a visible reminder of how much had been collected for the cause. The campaign is held in memory of Colette Bleistine, a member of Rowan University’s chapter of PRSSA. She was diagnosed with cystic fibrosis at an early age and spent most of her life battling back against it. In 2012, while serving as the Vice President of Special Events for the organization, she was placed on the list for a double lung transplant. That transplant never came, and in May of 2012 Bleistine passed away from the disease. 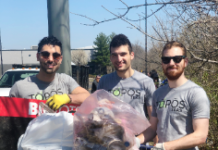 Since then, PRSSA has worked each year to make sure that along with keeping Bleistine’s memory alive, they donate to organizations that help those afflicted with this disease. In order to do so, PRSSA is holding events over the next few weeks, including a hot chocolate sale on Nov. 14, a restaurant fundraiser at Chickie’s and Pete’s on Nov. 15 and a raffle table in the Student Center on Nov. 20. All these events lead up to the Dance Away Cystic Fibrosis fundraiser, which will take place in the Eynon Ballroom from 6 to 9 p.m. on Nov. 30. 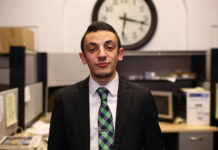 The eventual goal of PRSSA is to raise $500 for cystic fibrosis research and treatment purposes. According to Livingstone, the other goal is also to remind people just how caring and wonderful Bleistine was in life. Summing it up, Livingstone said that PRSSA was incredibly committed to every aspect of this event, and was going to be dedicating fundraising efforts to her again. “We really wanted to capture her spirit and honor her legacy with this campaign,” Livingstone said.